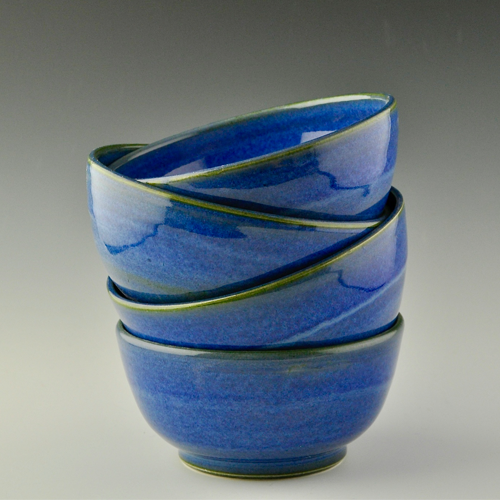 At Fine Ceramics Online you’ll find unique handmade pottery that will amuse the hard to please on your list. Our new collection is here, you’re going to love the patterns. 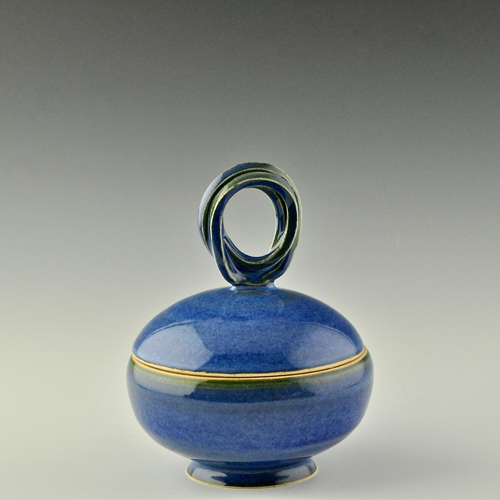 All pieces from Fine Ceramics are individually made by me. I don’t use any mold to form my wares so you can be certain you’re having a unique handmade pottery. The process usually takes four to six weeks. First I make the pieces by trowing on a wheel or by handbuilding with slabs. In order to trim, the pieces need to be leather hard and after trimmed they need to completely dry to be safe to have the first kiln fire called bisque fire. Bisque firings takes 14 to 18 hours, during the winter it takes longer. 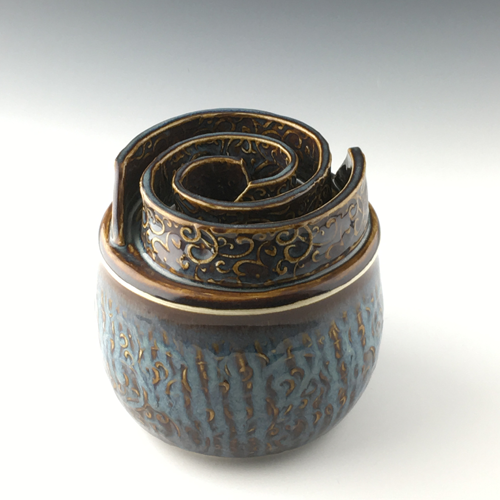 When the kiln had cooled down the pieces are removed from it and glazed. 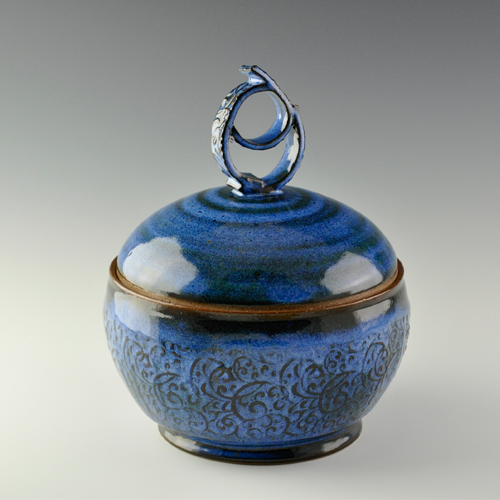 Every pot is glazed separately, some pots are dipped in glaze, but most of them have a brush application. Although bushing glazes is time consuming, I believe the application is more successful and gives a nice effect on the pots. This process takes a week or two to be completed and after the glazes have dried now is time to load the kiln for a glaze fire. 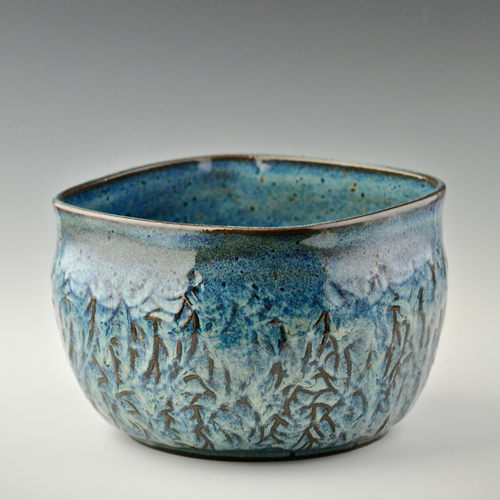 Glaze fires are shorter than bisque fire even though the temperature for a proper glaze maturation is much higher, 2232°F. I like to wait 48 hours after the fired had finished so the pieces cool down slowly and there is no risk of thermal shock. As I take the pots out of the kiln I sand every bottom so they are smooth and won’t scratch any surface. I also check for sharp edges and smooth them. 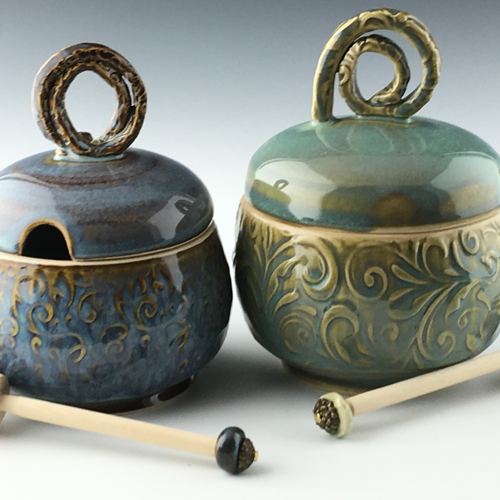 The kiln is big enough to bisque fire up to 100 pieces depending on their size and complexity, however, glaze fire is a complete different matter and takes maximum 40 to 45 pieces. For each bisque fire I do two glaze fires. So that is how the magic happens.